For hunters wanting bomb-proof toughness combined with a "Go Anywhere" attitude, and when micro off road trailers are, well, a bit too micro, take a look at ADAK. Built by hunters for hunters, it is the culmination of years of practical field experience. The all-aluminum, welded I-beam frame is mated with torsion axles for a smooth ride with no low hanging axles or springs to get caught on off road debris. From there, the body is constructed with 1 ½ inch honeycomb RFP and engineered lightweight laminate panels bonded to the frame and roof. Not only is this design structurally rugged, it allows for unmatched insulation in both hot and cold conditions due to the dead airspace inherent in the honeycomb panels. Unlike traditional RVs where cabinetry and fixtures are simply screwed in place, the crew at ADAK screws and bonds everything so vibrations, shakes and rattles do not loosen things over time. Layout is excellent with features like 6'8 inches of head room, bunks that hold tall guys (6'3" for one, 6'8" for the other two,) hanging clothes storage, extra luggage storage, a full inside shower and outdoor galley with 3-way fridge and sink. Onboard potable water, 110 volt power and blackwater tanks come standard. Tipping the scales at 4,500 pounds with a length of 16 feet, the ADAK is quite a bit larger than the other trailers listed here. But, then again, for those wanting the comfort of sleeping under a hard roof and being able to also walk around inside, it offers a lot more options. Adventure Trailers have probably been to nearly every corner of the globe and Mario Donovan is not just the owner but a serious end user as well who has developed his product through trial and error in the real world. At first glace the Adventure Trailer Chaser model looks very similar to the original military M416 Jeep trailer, but this is where the similarities end it is far more advanced. To begin with the biggest advantage the Adventure Trailer boasts is its remarkable trailing arm suspension. Nothing handles washboard gravel roads as well something that is extremely important for hunters. 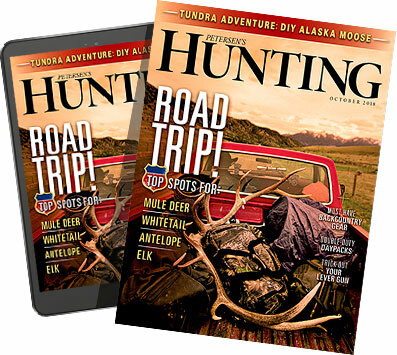 While the Chaser is not large enough to haul an ATV, it is more than enough to cover a hunters needs for gear, camping equipment and getting game out of the backcountry. The water and fuel tanks are safely located on the long tongue, above where they can be damaged from trail obstacles. There is also a storage box for battery management systems. The bed is secured by a hard top that fastens snuggly, with the roof top tent folding on top. With the addition of two powerful struts underneath, the lid can easily be opened with the tent on top. As an added bonus, the lid can be opened even with the tent pitched. And the tent is huge! Easy to enter, the tent has an enclosed "room" which can serve as a changing room, dining room, and extra sleeping quarters or simply dry storage. On top of the bed a thick queen sized foam mattress provides a comfortable night's sleep. Set up and takedown takes less than five minutes. I tested this unit this past fall during an elk hunt in Colorado. All told, I traveled close to a thousand miles and it was nearly undetectable. In fact, over the course of the trip, my MPG remained unchanged and I wasn't burdened at all over several of the 10,000 foot passes I crossed. Truly a winner in the small and lightweight category. For this slightly different take on the off-road camping trailer, MOBY One has blended the wonderful lines of the vintage 1950s teardrop trailers with the modern off road go-anywhere expedition trailer. To this end they have succeeded marvelously. The rear opens up to a very functional cooking galley with propane stove, sink and 12v fridge. In a compartment along the side there is an instant hot water heater for showering. Spare fuel or water can be stored in secure containers on the fenders. The tongue sports two unique boxes with top and side opening along with full-length drawer sliders for items like coolers or storage boxes. Inside the Baltic birch interior there is a large mattress for sleeping, dry storage for clothes and other gear. There is an advantage to the teardrop design. For the record, I like camping in a tent. But if it is snowing, or raining for an extended time, the tent can get soaked and folding it back up and stowing it can be problematic. For this reason inside/dry camping is superior for late season hunts. Another place the teardrop shines is sleeping en route to a destination. Take for example a trip I took to South Dakota bird hunting this year. From my home it is 14 hours to the hunting spot. I generally can't make this in one push, so I drive 8 hours then fitfully sleep in my truck for a few hours before pushing on or I will get a hotel. With an enclosed trailer, it is easy to pull into a rest stop, crawl in back, lock the door (to keep out vagrants looking for a little male companionship) and snooze for a few hours before heading on. No tents to deploy, nothing to fold back up, just stretch out and get some ZZZs along the way. At $100 per night for a decent motel, you can quickly pay off a trailer.